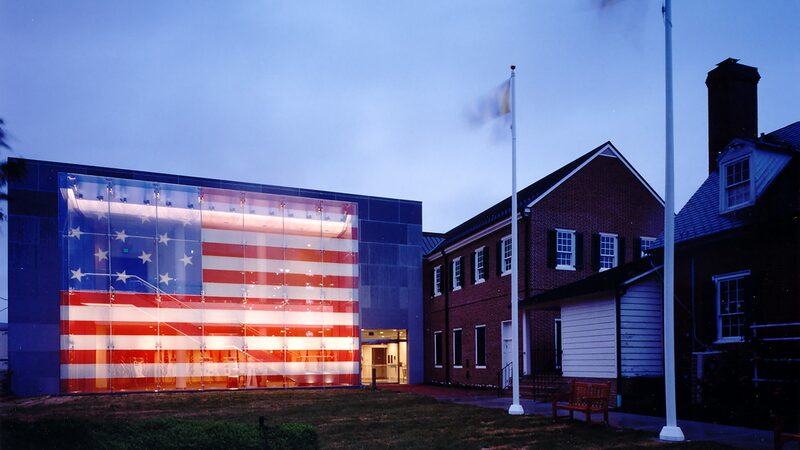 This unique history museum interprets the home of Mary Pickersgill, the flag maker of the Star Spangled Banner. 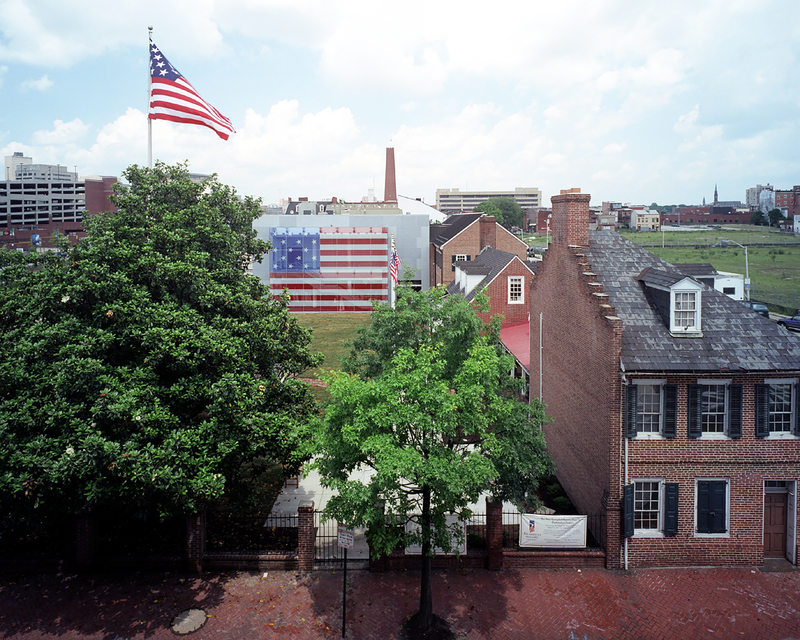 The building houses all of the museum functions and is the primary entry point for visitors. 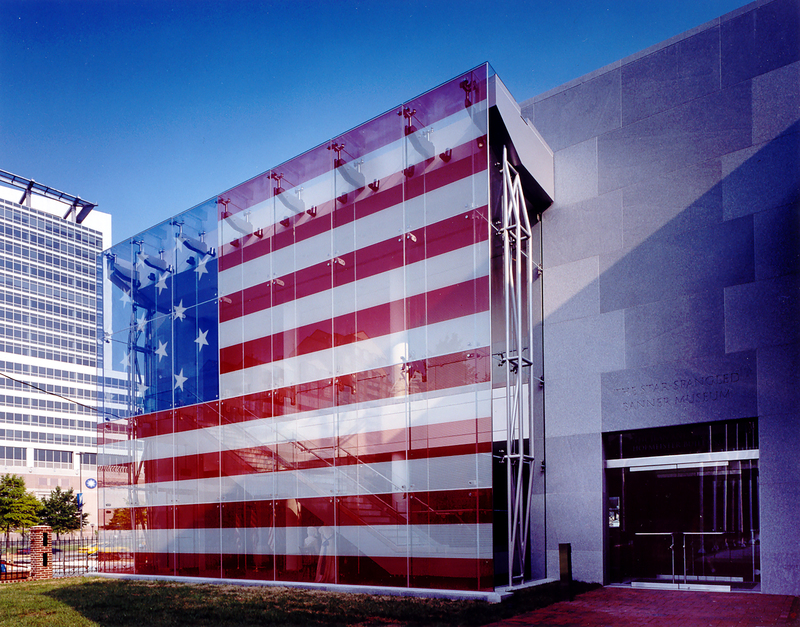 It includes a gift shop, lobby, 55-seat visitor orientation theater, 4500 SF gallery, museum offices and collections storage area. 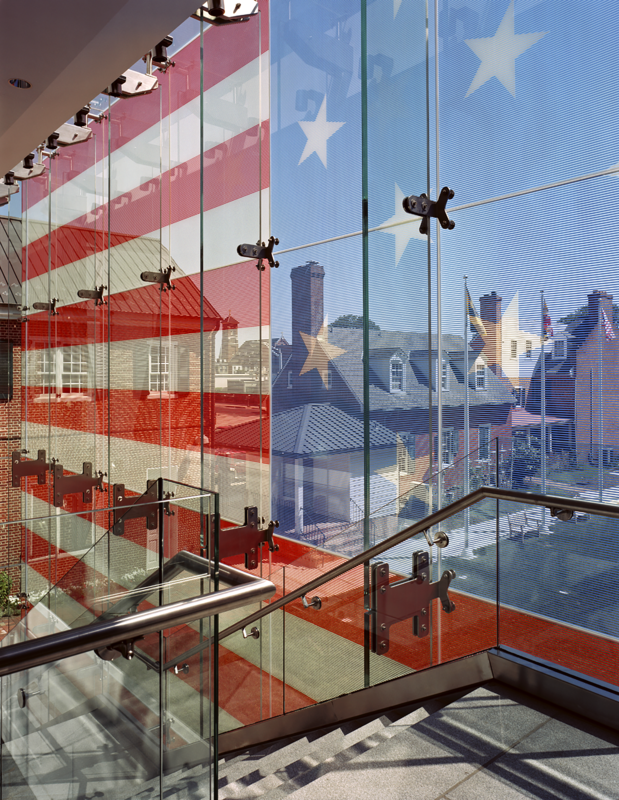 The representational flag wall made of structural colored glass is the same size as the original flag and allows visitors to experience the flag in an intimate manner via a ceremonial stair to the second level behind the wall. 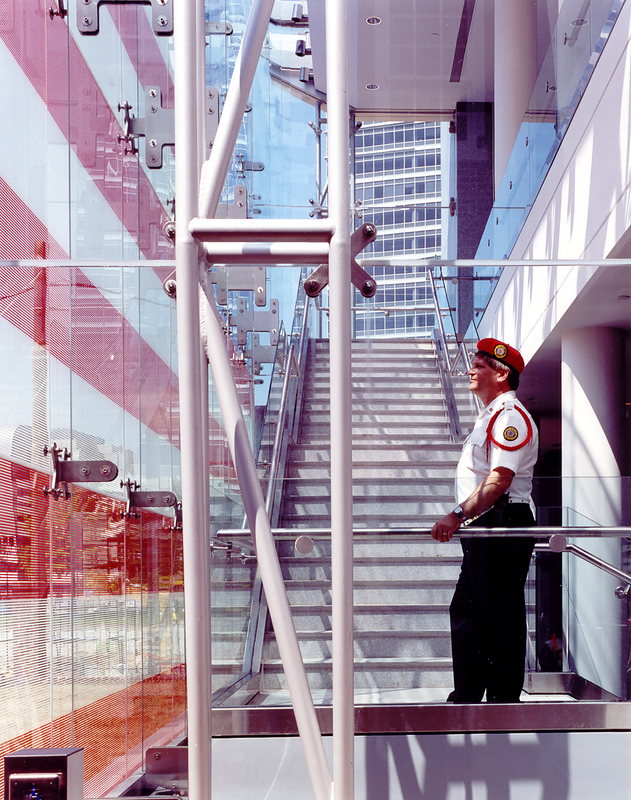 The backlit glass wall provides a strong and memorable icon for the museum. Project was recipient of a Design Award from Maryland AIA.